In this tutorial, we will review the actual process of creating new roles on your SilverStripe website. 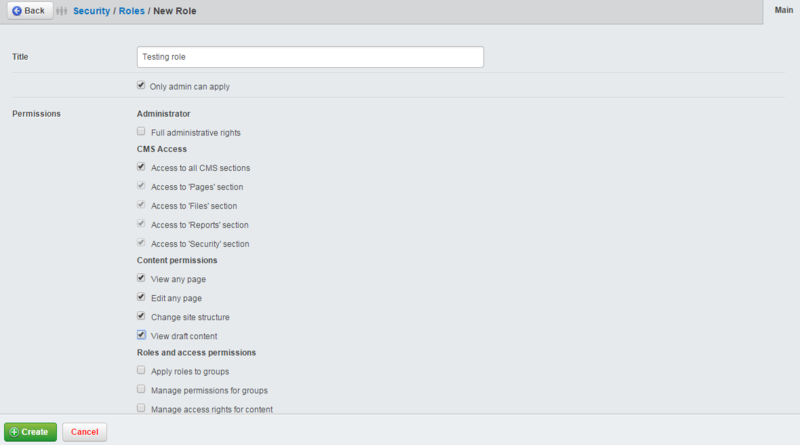 Instead of allowing actual permissions for each of your users separately, you can complete the job in one go. Simply create a new role and assign it to a number of users on your website and they will inherit it's role options automatically. To create a new role, you need to access the administrative area of your website. Click on the Security option on the left-side menu. Once you enter the details above, simply click on the Create button below and the system will automatically complete the rest for you.